Make Pink Investments your default homepage. For most investments you are always told "don't let your heart rule your head" but in the case of classic cars,letting your heart rule your head might prove to be the best and most enjoyable decision you’ll ever make! Classic and vintage cars are highly-prized objects to their adoring owners, but they can also prove to be a great way to beat the taxman - at least in the UK. Classic car ownership has proven to be an astute move for some. There has been an incredible boom in sales of classic or vintage cars which have seen returns far outstrip most other types of investments in the last decade. According to The Financial Times -Over the past three to four years, values for older classic motor cars at auction or in dealer and private sales have bucked the global recession, proving as prudent an investment as the other two leading alternative investments, fine art and vintage wine. Tangible assets like art, wine, stamps, coins and antiques have always been an option for investors seeking diversification. They are especially popular whenever economies hit the skids and when inflation wipes out returns on bank deposits. Sometimes it can be a manufacturer producing great modern cars that rekindle interest in their predecessors. Sometimes interest is fuelled by the celebration of an anniversary for a particular model. 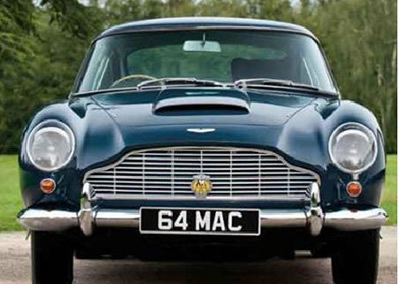 So classic and vintage cars can be a hedge against recession and traditional investments. Interest in them is growing significantly around the world. We know this from our Pinterest boards pinterest.com/pinkinvestments/alternative-investments-can-fund-your-college-fees/ which features many classic and vintage cars. Certain types of cars have increased in value quicker than others - in the UK the Mercedes-Benz 300SL Roadster has increased by 300% over 12 years. The Jaguar Etype has always been popular with collectors. A 1970 model in good condition can sell for upwards of £35,000 Even a modest Mini Cooper 1968 can be worth £25,000 in top condition! In the USA the Corvette Stingray convertible has always been a firm favourite. A 1960's model in good condition can sell for upwards of $45,000. 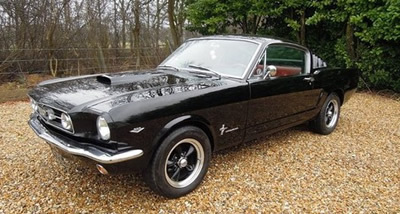 The ever popular 1965 Ford Mustang Fastback can fetch upwards of $30,000 in good condition. Many canny investors are turning to classic cars as an alternative investment.Unlike shares and most traditional asset classess, they don’t attract capital gains tax, when you eventually sell them for a profit. Anything with the James Bond name seems to be highly collectable. 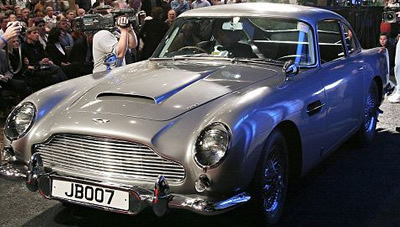 The actual James Bond 1965 Aston Martin DB5 coupe sold for$ 2.1million in Arizona in 2006! There a few hard and fast rules when it comes to choosing your collectable car, but it’s not going to do you any harm if James Bond had one. And if you know your Bond films, then you’ll know he drove a yellow Triumph Stag at the start of Diamonds Are Forever. This car epitomises early Seventies British suave, the mechanical equivalent of a velvet blazer! But remember, before Roger Moore was James Bond, he was Simon Templar in The Saint — a kind of Robin Hood, but with nattier clothes! 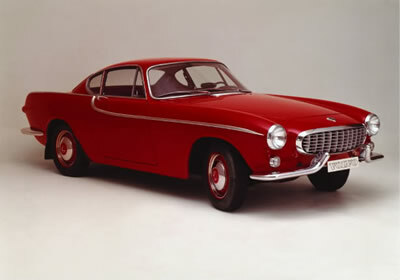 He drove a Volvo P1800 in this TV series. 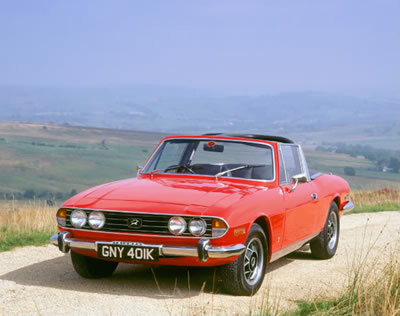 Both the Triumph Stag and the Volvo P1800 could be classic cars of the future. You can pick them up today for around £5,000 in good condition. You don’t have to part with big money to find yourself a cracking little classic. For as little as £3,000 you can be the proud owner of a piece of motoring history. The general consensus is that the novice classic car investor should choose to invest in a make that has a reputable and expansive owners’ club – such the MG or the even the Ford Capri and Mini cooper. A new breed of client in their 30s is getting into old cars now. So, there's unlikely to be any shortage of buyers, at least as long as interest rates remain at record lows and wealthy baby boomers can afford to turn their dreams into reality. Nostalgia is a real driving factor when it comes to investing in a classic car. You might want to check in your grand parents shed or garage. A flea-bitten 1965 Ferrari 330GT 2+2 Berlinetta sold by Bonhams in Harrogate has recently sold for almost £70,000, twice its guide price. 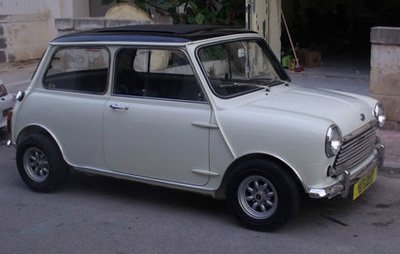 A1966 Mini Cooper that had been stuck in a garage for 36 years recently fetched nearly £18,000! ■ Be prepared to tie up your money for between 3-5 years. ■ Have passion - buy what you like and will enjoy driving. ■ Buy beauty, but don't fall in love with the poor cousin. ■ Buy your dream car. Even if the world economy goes to pot tomorrow, it will still be there. ■ Acquire knowledge - check auction results and trawl the internet to gkeep up to date with prices. ■ Start a relationship with a friendly classic car dealer. They are a great resource and have insider knowledge. 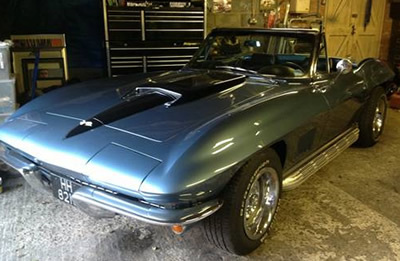 ■ Know the car's history - is it in original condition or has it been restored? Has any restoration work been done to a high standard? Check for rust & other damage. It is only particular models that offer high investment returns. Prices can fluctuate with trends and tastes. Similarly while some rare coins and stamps have seen their values rocket, others won't offer the same spectacular returns. Like anything else, prices can fall as well as rise. Unlike other investments, cars, coins and stamps do not offer an income. (unless you rent them out for weddings or films). They are also at risk of wear and tear, which can impact their value and you have to spend money on their upkeep. So bear all this in mind if you are considering them as alternative investments. Disclaimer: All the information above is provided as a service for individuals and institutions. It should in no way be construed as a recommendation as an investment. Investment decisions should be based on the risk tolerance and planning horizon of the investor. 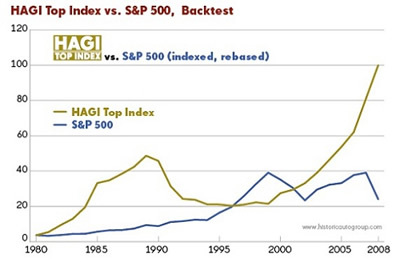 Market participants must understand that past performance is also not a guarantee or predictor of future results.